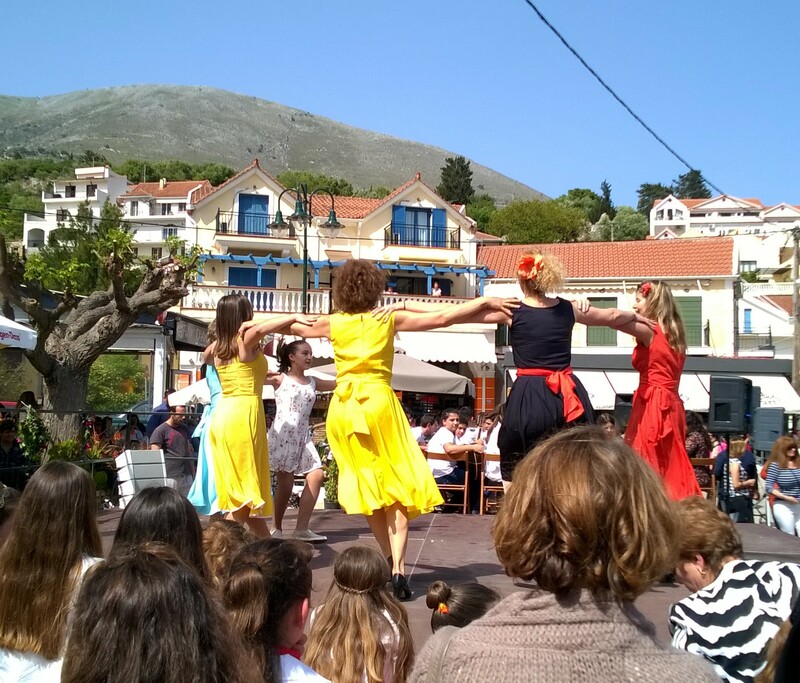 While staying at The Walnut Tree, the experience of the traditional life of the island of Kefalonia, the Festivals and Feastdays are treats not be missed. They give the visitor to Kefalonia a intimate view of the life of the island and its people. Each festival is unique to the town or village where they are held – mostly these are religious but a festival can also mark a political event or the life of a revered past resident. The Monastery of Thermata near Aghia Efimia celebrates its festival on the first Tuesday after Easter – bread is distributed to everyone attending – a very local event and due to the time it is celebrated very few tourists are present. The views from the Monastery are spectacular. 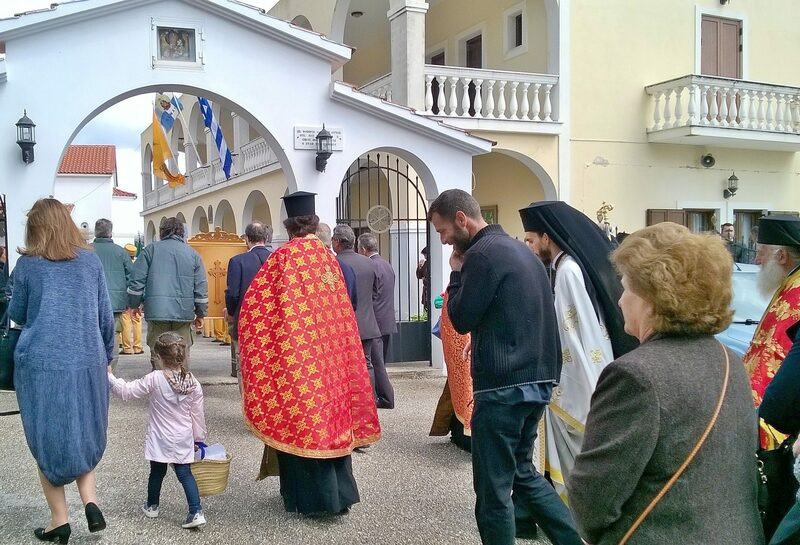 The Feasts of St Gerasimos – the Patron Saint of Kefalonia – take place in the middle of August and late October. These are probably the most important feasts celebrated in Kefalonia and with several marching bands and traditional dancers. Members of the Ionian administration are represented, local school children are chosen to join the parade if their exam results are good enough, representatives of the Greek mainland government, the armed services and of course most importantly, the Greek Orthodox Church. 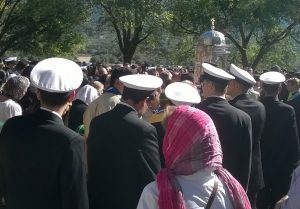 The saint’s body is processed along the wide avenue leading from the Monastery to the ancient tree that is associated with St Gerasimos and holds a very special place in the hearts of devout Kefalonians.